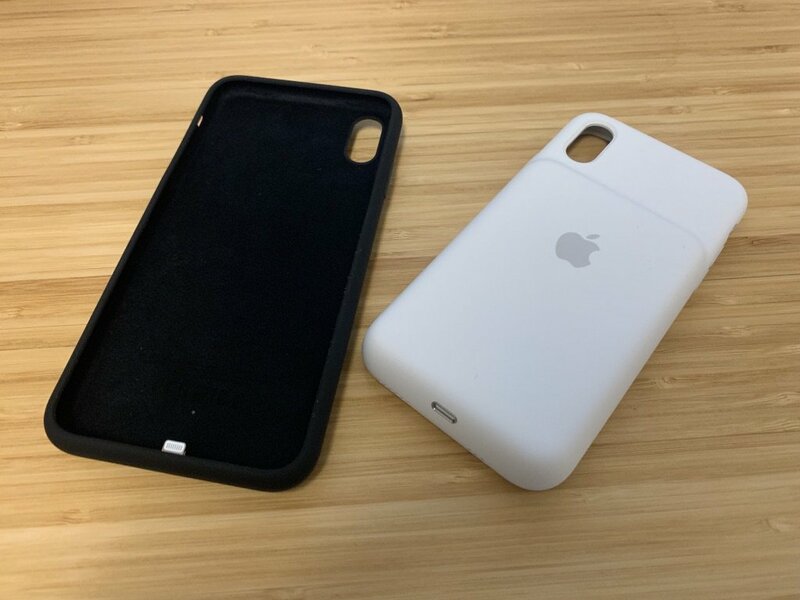 Apple’s technical specifications for the new Smart Battery Cases omit any mentions of capacity, but one customer who received his iPhone XS case early said it featured a 1,369 mAh internal cell, significantly less than the iPhone 7 counterpart. 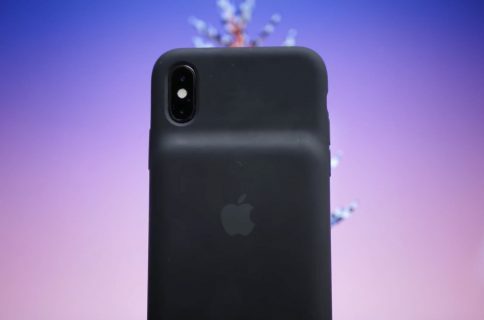 Nick Guy of The Wirecutter was first to report about battery capacity of the iPhone XS and iPhone XS Max cases, writing on Twitter that both feature a 1,369 mAh cell pack. UPDATE: iMore’s Rene Ritchie said there are two such cells inside the case. “You’re getting around 1.4 additional watt hours and almost 400 more milliamp hours,” he wrote. 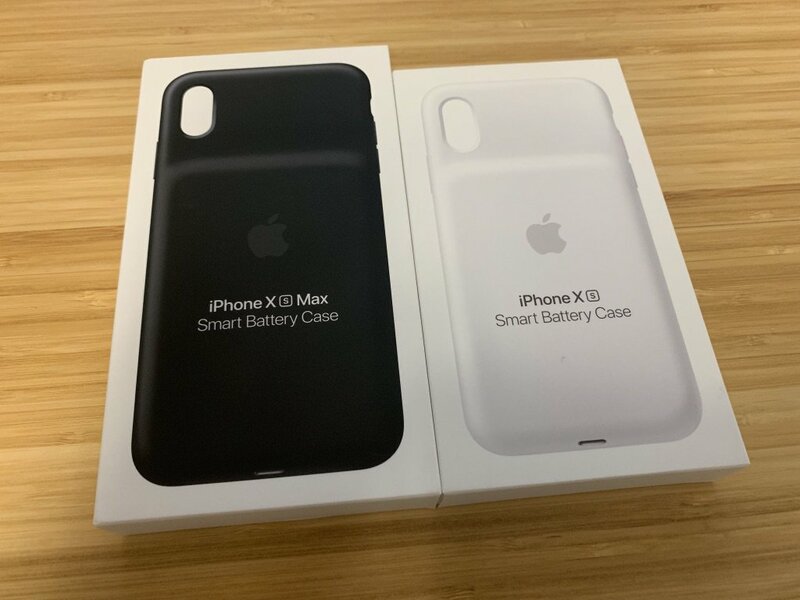 The previous version of this article stated that the new Smart Battery Case for iPhone XS and iPhones XS Max features a 1,369 mAh internal battery, or far less than the iPhone 7 version. The watt-hour rating at 10.1Wh is higher because the new case is operating at a higher voltage than the 7.13V for the iPhone 6 version or the 8.98V for the iPhone 7 edition. For more on the difference between the measurements, be sure to read Mark Smirniotis’s explainer. TLDR: while the mAh rating is lower, the new Smart Battery Cases actually rock larger capacities than the old ones when taking voltage into consideration. The rest of the original article follows below. 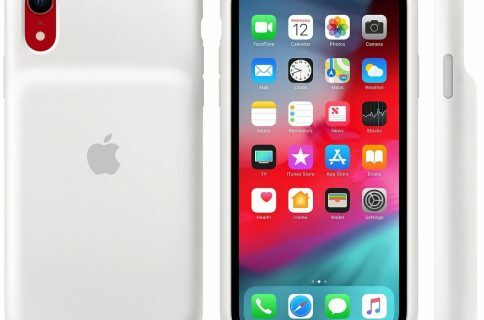 Some of the reason for a lower-capacity internal battery may be due to the new cases featuring support for Qi wireless charging, meaning some space inside is taken up by a wireless charging coil. Also, let’s not forget that 2018 iPhones are power-friendlier than the previous models due to the more efficient chips and other internals. Notably, the iPhone XS version sports the same height as the iPhone 6 and iPhone 7 editions because Apple has managed to get rid of that unsightly chin at the bottom (one of the two key innovations that make the new cases a worthwhile purchase, the other being fast charge support and simultaneous Qi wireless charging of both the phone and the case). Mick notes that the iPhone XS case weighs 3.46 ounces (about a hundred grams), or 3.81 ounces for the iPhone XS Max edition, which works out to about 108 grams. 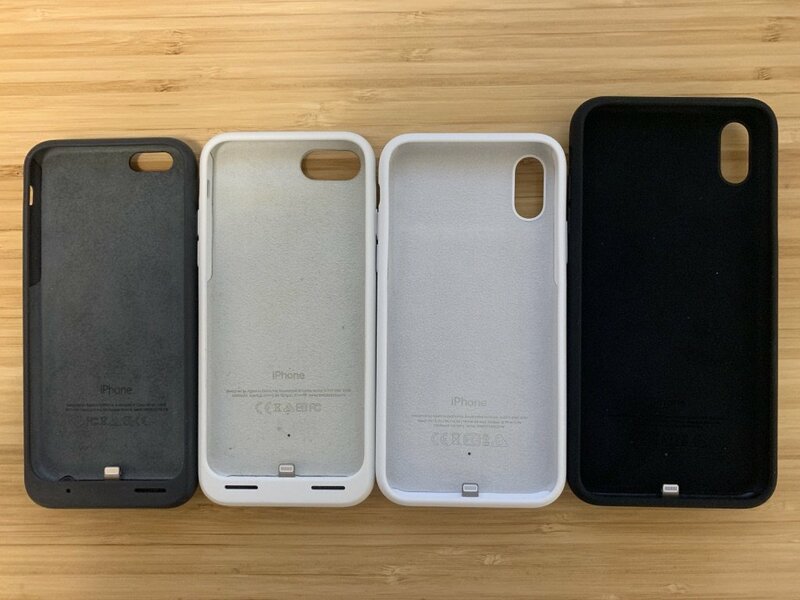 It’s worth noting that none of the new cases list iPhone X/8 compatibility. What do you make of this? Are you planning on buying this case?